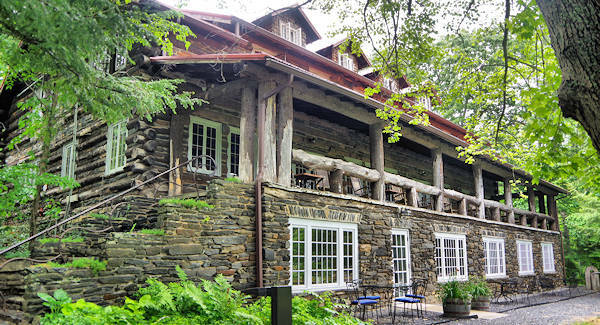 A must-stop for art lovers is the Penland School of Crafts, a nationally-renowned center for craft education tucked away in the Blue Ridge Mountains of North Carolina (6 miles from Spruce Pine). Penland offers one, two, and eight-week workshops in books and paper, clay, drawing, glass, iron, metals, photography, printmaking, textiles and wood. The historic campus deep in the mountains is a delight to tour. 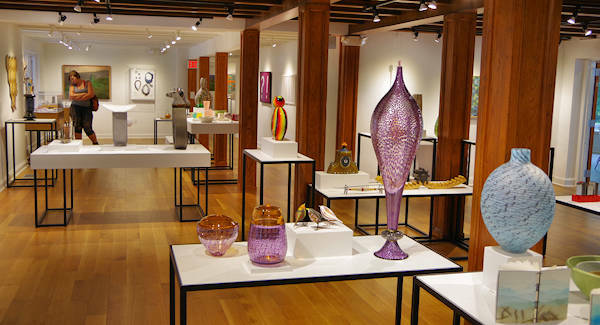 Visitors (non students) are welcome to browse the galleries, shop in the art supply store and walk through the campus. Classrooms and most studios are closed to the public since teachers and students are busy creating. 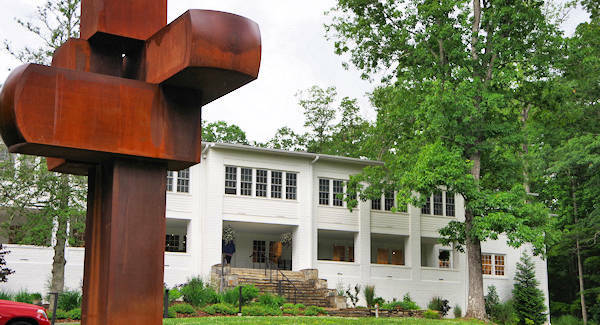 Begin your visit at the impressive Penland School Gallery and Visitors Center. 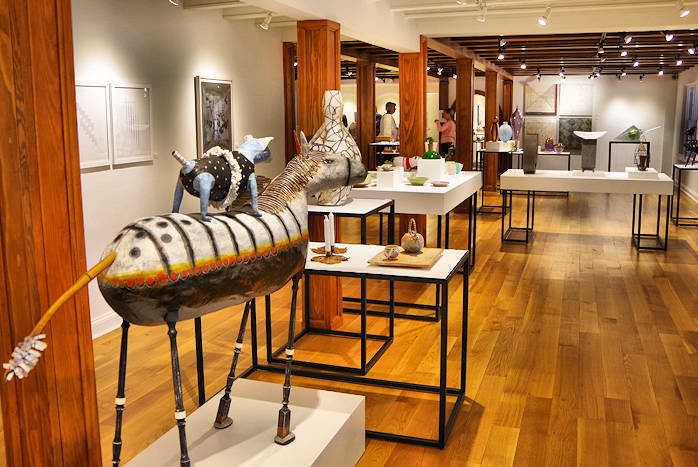 After driving the country roads up the mountain to Penland, you'll be surprised to find one of the most impressive collections of contemporary art and craft in the Southeast! A recent major renovation created large spaces for both exhibits and sales area for works of current and former Penland instructors and students. Ask gallery staff members about areas on the campus that are open for touring. They will give you a map with options to drive or walk. The gallery is open March through early December, Tuesday through Saturday, 10 AM-5 PM and Sunday 12-5 PM. Free guided tours of the campus are available Wednesdays at 1:30 PM. Call 828-765-6211 to make a tour reservation. As you walk or drive through the campus, a must stop is the beautiful Craft House, one of the largest log buildings in North Carolina. It's home to the Penland Supply Store with both art supplies and gift items including souvenir t-shirts. It's open year-round, seven days in spring-fall and Monday-Friday in winter. Rock a while on the Craft House massive front porch with mountain views. Other stops for visitors include the campus coffee shop and The Barns with studios of resident artists. If they are at work, their doors are open and you are welcome to watch and ask questions. Each summer, the school offers 98 one and two week workshops in books and paper, clay, drawing and painting, glass, iron, metals, photography, printmaking, textiles, wood, and other media. In the spring and fall, "Concentration" workshops run for eight weeks. Both instructors and students come to the school for the duration of their session. Students take only one workshop at a time. 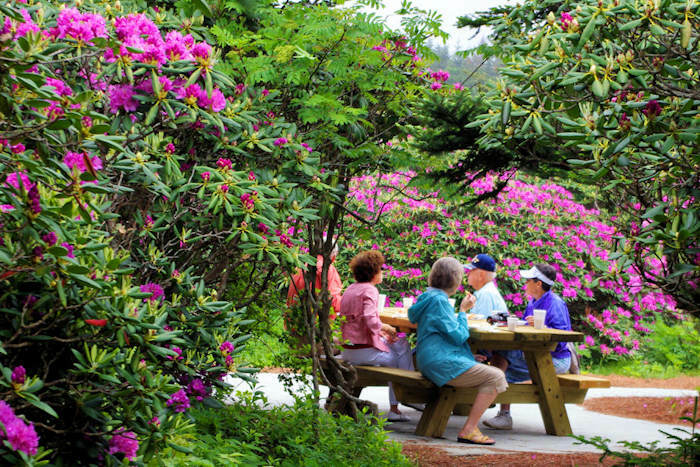 A favorite annual event is their Community Open House on the first Saturday in March. Each year, a week before spring classes begin, the Penland studios open to the public for an afternoon of hands-on workshops and demonstrations. Free admission! 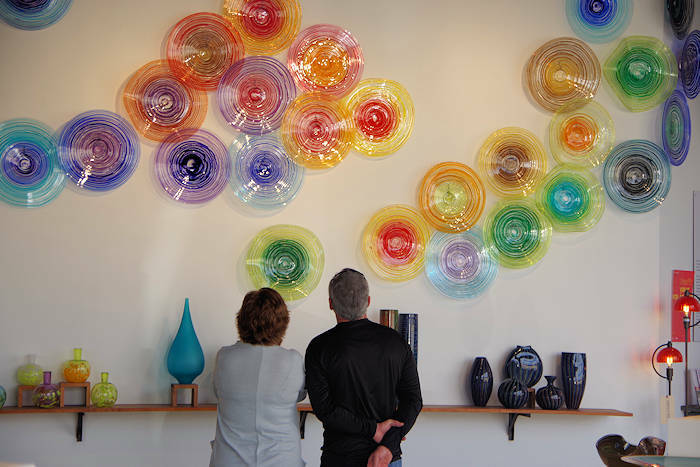 There are hundreds of artists in the area and many have galleries and studios open to visitors. Many open for the twice annual Toe River Studio Tour. Penland was founded by Miss Lucy Morgan, a teacher at an Episcopalian school. In 1923, she organized the Penland Weavers which provided looms and materials to local women and marketed their handwoven goods. She invited guest instructors to teach weaving, and when requests for instruction began to come from other parts of the country, Penland School was born. 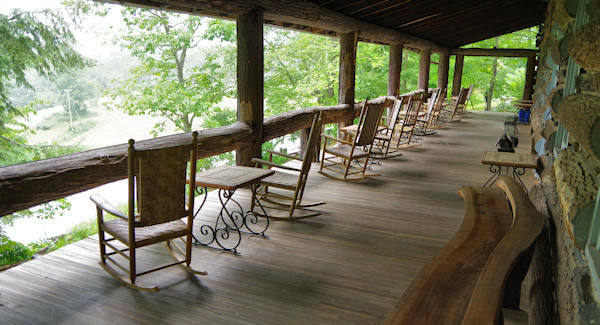 Since that time, Penland has grown to encompass about 400 acres and 41 structures. Go to their website for more info. 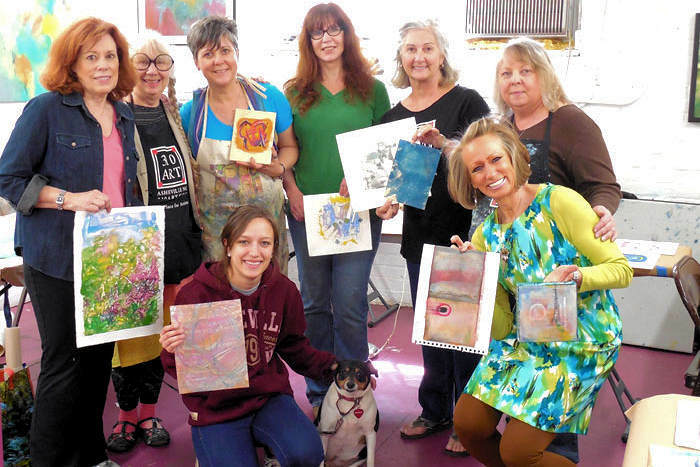 Also, read about Asheville Art Classes & Workshops. 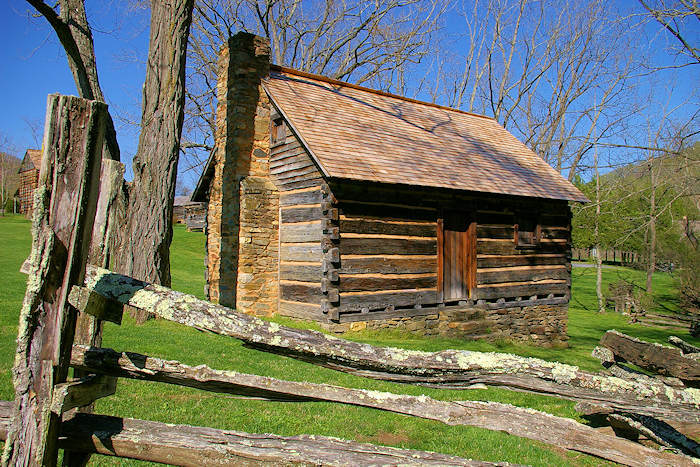 For more information about the Penland area, go to the Craft Your Adventure Website. Directions from Asheville (about 50 miles, one hour): Take NC 19/23 (future I-26) North past Mars Hill. Take exit #9 towards Burnsville, staying on NC 19E. Continue past Burnsville, approximately 10 miles. Turn left onto Penland Road for 3 miles and turn left onto Conley Ridge Road at the Penland sign. Closest towns are Spruce Pine (6 miles) and Bakersville (9 miles).